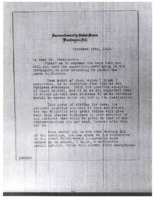 Date is exactly "1918 November 18"
President Wilson writes there is no way that he can avoid going to France. 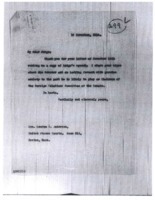 Pass on to Colonel House the message that President Wilson will not be able to go to England before going to France. 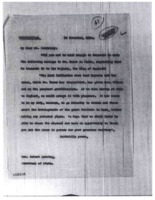 President Wilson asks the Secretary of State to pass on the message to Colonel House that the French should stop their censorship of the press now. 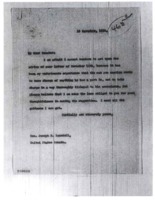 President Wilson thanks the Supreme Court Justice for his letter. 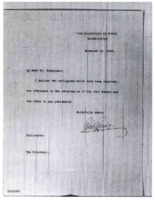 Supreme Court Justice advises President Wilson to pay no attention to the opposition. 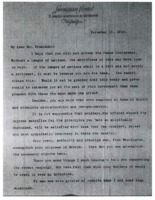 President Wilson cannot go ahead with the advice from Senator Randall. 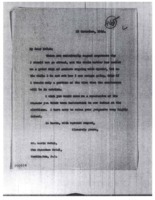 Newspaper clipping about a mob that attempted to break into a jail in Winston Salem, N.C. in order to lynch a prisoner. 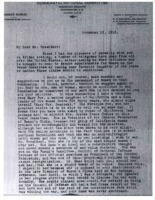 Mrs. George Bass of the Democratic National Committee advises President Wilson on how to pick women for the Paris Peace Commission. 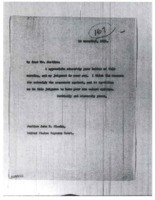 President Wilson writes to a US judge in Boston about his shared fear of Henry Cabot Lodge being on the Foreign Relations Committee. 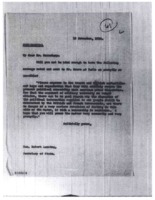 Senator Myers recommends William Jennings Bryan to negotiate peace terms in Europe after the end of the war. 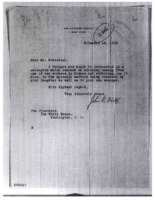 Mott tells President Wilson of the good work his daughter is doing. 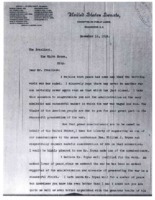 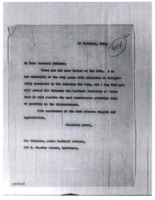 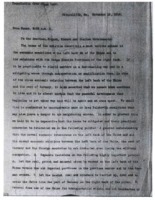 Secretary of State sends along two radiograms to President Wilson.